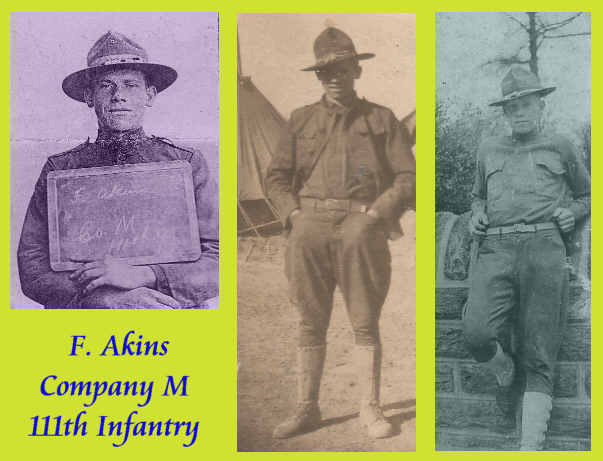 Frank enlisted in the Pennsylvania National Guard June 22, 1916 to participate in the support of the Punitive Expedition against Pancho Villa. He was exactly sixteen years and four months old on that date. The division, then known as the 7th Divison of the Pennsylvania National Guard, was sent to the the US - Mexico border, sat there for several months and was eventually demobilized. The principal benefit of this effort was to give several American formations a headstart on preparing for the American entry into the Great War. After Congress approved the War Resolution on April 6, 1917, the 7th Division was one of the earliest National Guard units reactivated. On July 15th they were called back for Federal service and redesignated the 28th Division of the AEF. The division trained at Camp Hancock, Georgia and made the voyage to France in late April and early May 1918. They had their in-theatre training with the British Army in Picardy then with the French near Chateau Thierry, but events drew them to the battlefield earlier than anticipated. 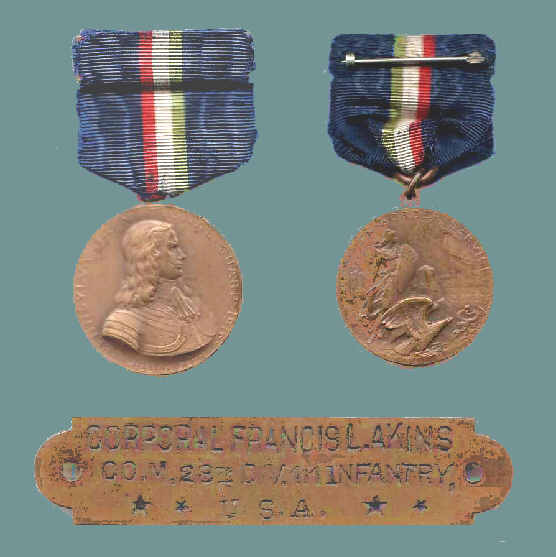 Frank's regiment was placed in the frontline to reinforce the US 3rd Division which was holding back the last German offensive of the war along the River Marne. On July 18th the Allies turned the tables and took the offensive themselves in the second phase of the Second Battle of the Marne. In early August the division was sent north to the town of Fismes on the River Vesle near where Frank would meet his fate.